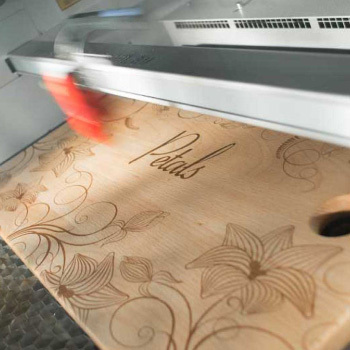 With over 10 years of industrial design experience, we are more than just a laser cutting service. We aim to find solutions for your clients that suit your budget and your deadlines. Laser cutting allows for intricate designs to retain detail in a way that is repeatable and accurate. Cut anything from paper and card, leather, natural and synthetic fibres, plastics, and wood products. 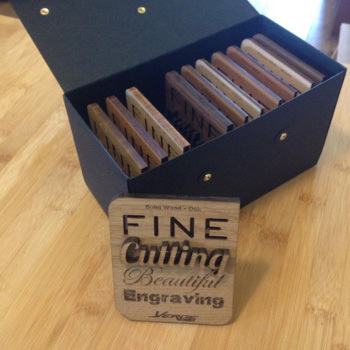 Laser engraving is a unique way to imprint designs on a variety of materials. Engrave anything from paper and card, leather, natural and synthetic fibres, ceramics and stone, plastics, wood products, glass, painted surfaces, and metals. 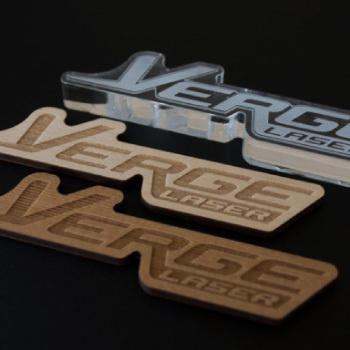 Laser cut and engraved signage will elevate your brand and get your customer’s attention. With over 10 years of industrial design experience we can make your brand reach exciting new heights!